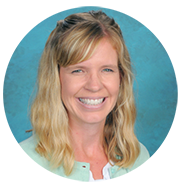 Hi, my name is Larissa Crowell and I am so thankful to be back in AVCS’s loving, Christian community to teach your wonderful children! I grew up in Carmel, California where I was lucky enough to enjoy the white sandy beaches, the charming small town life, and the rich history that has engulfed this one-square-mile gem. I am blessed to have a family with supportive parents, a loving older brother, Carl, and my Golden Retriever, Brinkley, who is often referred to as my younger brother. I’ve always cherished my time spent with my family, whether it is a family dinner, game night, or one of the many memorable family vacations that we have taken together. My enthusiasm for exploring kept me traveling while I received my Bachelor Degree and teaching credential from Pepperdine University. I studied abroad in London for a semester and Florence for a summer, which gave me the opportunity to tour extensively throughout Europe. I also spent my Spring break at Pepperdine volunteering to teach English at a small orphanage in the Dominican Republic, which was a life-changing opportunity. I have a passion for experiencing new places and cultures, and can’t wait to share all that I have learned with my students. During my youth, I competed in gymnastics, volleyball, and fastpitch softball. I now run daily for pleasure, and enjoy all types of outdoor activities. There is something about being out in nature that always summons me back. My family takes an annual vacation to the serene and breathtaking valley of Yosemite National Park, which incorporates a few of my favorite things in life; my family, the outdoors, and athletics. As a graduate of Pepperdine University I live by its motto, “Freely ye have received, freely give,” (Matthew 10:8) and hope to encourage my students to share the blessings in their lives with others as well. I am looking forward to the new school year and would love for you to stop by to say hi!